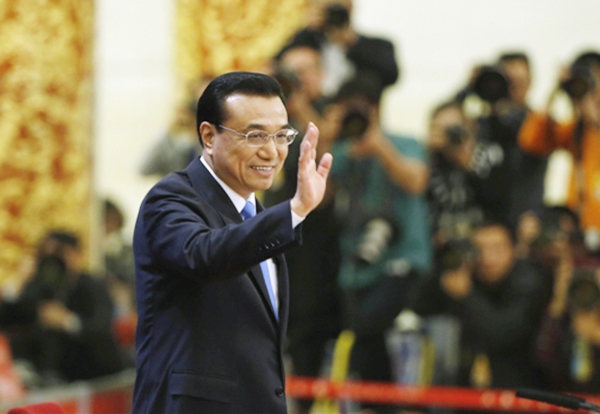 Premier Li Keqiang held a press conference after the annual national legislative session concluded on March 15. China’s national lawmakers voted for a revision to the Legislation Law on March 15. Chinese political advisers have voiced full support for Beijing’s bid at the annual session of the CPPCC. Foreign visitors are sometimes confused by hilarious or unfortunate translations on signs in public areas in China. Fisherman Li Keping, a National People’s Congress deputy, has devoted himself to promoting the interests of fishermen. The closing session of the 3rd Session of the 12th NPC is convened at the Great Hall of the People. After that, Premier Li Keqiang meets journalists from home and abroad and takes questions. Among different items on the agenda of the two sessions, the economic model of “new normal”, along with deepening reforms, has become a focus of world attention. The Belt and Road initiatives are among the most extensively referenced topics during the ongoing annual parliamentary session. Andrey Ivanovich Denisov, Russian ambassador to China: The government work report has significance not only for the Chinese but also for people around the world. Borislav Maric, ambassador of Bosnia and Herzegovina’s to China: I think the world will be a better place thanks to the policies of China. Sina Weibo user Huahuabing: We should try our best to keep a good network environment and say “no” to harmful information. Sina Weibo user bangzili: I’d like to thank the deputies and members for having proposed many hot and sharp issues as the two sessions are to conclude.